This applet demonstrates the use of lathe and path objects from within the objectfactory class. Demo first, explanation afterward. The path class is used to store a series of x/y coordinates that can be joined in sequence to form a 2D outline. The lathe class takes a path and rotates it through 360 degrees around the y-axis to form a solid 3D object. Texture coordinates are calculated and a user-specified material applied. 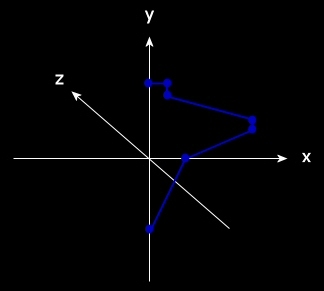 There is also a parameter to control whether multiple vertices with the same coordinates are considered to be the same, for the purposes of the shading algorithm. The torus in the above demo has this set to 'true' and as you can see this as the effect of creating a far smoother finish. As with the previous examples a path is created though this time the coordinates are not user-supplied, instead a 'CirclePath' method does the work. 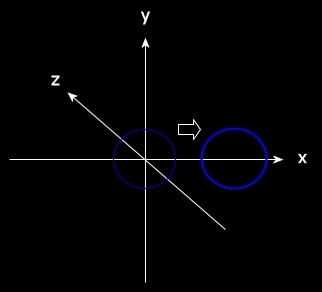 The two parameters are the radius of the circle and number of points to divide the circle into. 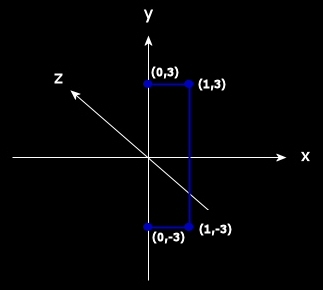 The path is x/y zero-centered. If we passed it to the LatheObject method as it stands we would generate a sphere. So instead, we translate it along the x-axis first.